Buoyed by the success of the World Summit in Mumbai, the Central Council for Research in Homeopathy (CCRH) plans to have a tie-up with other research organisations with the aim of taking the health-care industry to the next level. With recent researches having yielded information on genomics which can be juxtaposed on the effect of homeopathic medicines individualised at molecular level, CCRH director general R.K. Manchanda has called for further research in the area. He pointed out that CCRH -- an autonomous body under the government of India's Department of Ayurveda, Yoga and Naturopathy, Unani, Siddha and Homoeopathy (AYUSH) -- has been instrumental in cutting-edge research publications on cancer, Japanese encephalitis, diabetes, urolithiasis, memory function and detection of nano-particles in high homeopathic dilutions. The council has already found integration of homeopathic and allopathic medicines to be successful in tackling MDR-TB. 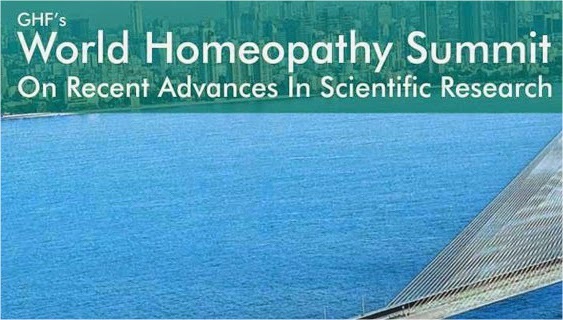 Manchanda expressed happiness the huge participation in the World Homeopathy Summit on April 11-12, which CCRH held the summit in association with the Global Homeopathy Foundation, proved that homeopathy is not a placebo medicine and that it is science. The summit was attended by scientists from Brazil and Italy as well as those from the Indian Council of Medical Research (ICMR), IIT-Bombay, Institute of Chemical Technology (ICT) Mumbai, Indian Institute of Chemical Technology (IICT) Hyderabad, Haffkine Institute Mumbai, Council of Scientific and Industrial Research (CSIR) and Bose institute - Kolkata. “The deliberations at the summit held recently and the ocean of information on the research done into treatment of AIDS, cancer, influenza and TB and the detection of nano-particles in homeopathic medicines will definitely take homeopathy to an altogether new dimension,” he said. Questions have been raised about homeopathy -- whether it is a science at all and if it works and how does it work. “Now, we are in a position to declare to the world that researches have conclusively proved that homeopathy works, and works effectively in several cases of complicated diseases,” declared Dr Rajesh Shah, organising secretary of the summit. Molecular biologist Dr Gaurisankar from Bose institute - Kolkata, demonstrated that cancer tumour regressed significantly after administering homeopathic nano-particles of Calcaria Carbonicum. His research has proved that high-dilution homeopathic nano-particles could kill the cancer cells and considerably reduce the cancer tumours in rats. Snake venom transformed into a homeopathic medicine could reduce the growth of HIV virus by inhibiting RT (reverse transcriptase), an enzyme required for the multiplication of the deadly HIV, Hepatitis C and Ebola virus, studies at Indian Institute of Chemical Technology (IICT), Hyderabad, showed. IICT scientists Dr Praveen Kumar and Dr Prathama feel this research opens a new way to treat HIV and other such diseases, including Ebola. In a study by Dr Khuda Bukshsh, genotoxic effects of arsenic trioxide poisoning were successfully treated using potentised arsenic metal, proving the very fundamental principle of homeopathy, which says that like can be cured by likes, if administered in extremely small dose. Similarly, he demonstrated that mercury, cadmium and tin toxicity also reduced with the corresponding homeopathic medicines prepared from the same metals. “Treatment of toxicity is another area which could be addressed by homeopathy,” said GHF chairman Eswara Das, also an ex-advisor of AYUSH. Cancer surgeon Dr Arun Jamkar, vice-chancellor of Maharashtra University of Health Sciences (MUHS), said in his keynote address that recent research has created adequate evidence for the efficacy of homeopathic medicines. He opined that homeopathy and conventional medicine could be integrated to benefit the patients. A major research done in Brazil by Dr Leoni Bonamin and team demonstrated the preventive affects of homeopathic medicine prepared from the influenza virus. “This research opens up windows to many more research opportunities in India," said Dr. Shah, who is also working on developing more medicines sourced from various germs. Global Homeopathy Foundation (GHF), founded by a group of homeopathic activists with the mission of spreading the benefits of homeopathy to the masses across the world, is a non-government non-profit-making group and was behind the Summit that changed perspectives. GHF now looks forward to spreading the knowledge obtained at the summit worldwide, said Dr Sreevals Menon, managing trustee of the NGO.